Ask fellow campers about "Markham Park" and nearby attractions. A really great park sandwiched between Ft Lauderdale to the East and the Everglades to the West. Huge, full-hookup site backed up to the canal. Tons to do within the park (shooting, RC boats/planes, biking, etc...) and even more just outside the gates. The gun range was a bit noisy during the day, but quieted down in the evening and didn't bother us. The public WiFi had better speeds (54 Mbps down!) than we have at home due to the access point located in each camping circle...where we were there were 5 sites per circle. Really nice place. South FL is at your disposal...as are the Everglades. If you can't find stuff to do here you're not trying. We will be back whenever we're in the area. We camped at Markham Park in a Motorhome. Not good. Beautiful Park. Very courteous office staff. The Lady that helped me make the reservations on the phone was very helpful. The campground / site maintenance is next to non-existent. The site we had looked like it had not been mowed in weeks, very shady site with low-hanging branches, lots of dirt and black mud. Upon arrival but before parking we contacted the front desk about maintenance coming to mow and clean the site. We were told that maintenance was not available until the next morning. The next day at noon we returned to the office to request maintenance services again. At 3 pm the 2nd day the maintenance person showed up to mow the 3 sites next to us and finally got to us. There are multiple long-term campers "lifers" that keep their site looking like trash, loose dogs, cars speeding well over the 15 mph limit. It's a shame because the park has a lot of facilities for activities but it looks like Broward County grossly neglected the maintenance and administration of the Campground. A few days prior to our arrival, we were called and asked if we would move sites because a "lifer" wanted to extend their stay. What we were offered as alternatives were non shaded, non private sites closer to the gun range. We camped at Markham Park in a Motorhome. Great price and excellent location. The space between each RV was spacious. We camped at Markham Park in a Fifth Wheel. 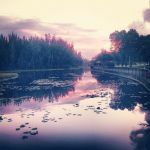 Close to sawgrass mills for shopping and everglades holiday park airboat. 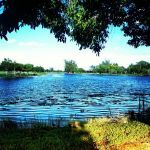 Broward Co. operates 4 or 5 of these parks, 9 months ago I stayed in their C.B. Smith park. Both parks were very nice and both had their pro's and con's. The Markham park is easy to get to from I-95 to I-595 or I-75. The sites were not large but were roomy enough. I was in site C2, most of the sites are arranged in a circle just off of the main road thru the park and most of the circles only have 1 paved site which they mostly reserve for handicapped. My site was dirt/grass. The utility connections were very good. No cable TV. I am a light sleeper and the road noise from I-75 did bother me. I would recommend trying to get a site in circle groups D_E_F or G-H-I or even farther back. The bath/showers were always clean. But the showers do not have any hooks for clothes or soap dish or shelf to put things like soap and shampoo or washrag. I would certainly stay here again. We camped at Markham Park in a Motorhome. I recommend the Jungle Queen river cruise and all you can eat bar-b-q on their private island. After dinner they put on several very nice variety shows, comedian, juggler, singers. Get your tickets from Groupon and save about $37.00 for two people. The park itself is huge. Many local residents use the park for bike riding, walking, running, group events, etc. They have a VERY nice large dog park divided for large and small breeds. There is a "pay for use" (I think $5 daily fee) but the gate was broken while we were there so we entered the dog park for free. There are several loops that are set up for Rv-ers with about 7 0r 8 campsites in each. Full hookups. Our area was full but everyone was quiet and friendly. We were in B Loop - if we come again I would prefer a different loop - we saw other loops that were less full. WIFI is very poor (use your hotspot if you have it) - TV received just a few channels. There is a fire ring and grill for cooking. 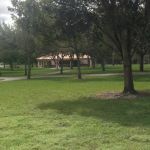 This park is located in the town of Weston so it's very close to shopping - Publix is nearby. All in all not a bad place to stay in Ft. Lauderdale at a reasonable price. We camped at Markham Park in a Motorhome. We enjoyed our stay here. The large park in which this campground is located is a very pleasant place to be. The Everglades began 30 yards from our back window. There is shopping nearby, but since the park is on the very western edge of civilization in this area, some specific stores and restaurants may be 7 miles or more away. The sites themselves are mostly dirt and grass, although there are a few concrete pull-throughs in one section. The water, sewer, and power hookups were adequate, but old and not necessarily conveniently or consistently placed (be ready with long hoses). There is public wifi that was sufficient for our needs, but we didn't try streaming video, and I doubt it would have worked for that. As other reviewers have noted, there's more noise than you'd expect from such a large park. The expressway at the park entrance is close to circles A, B, and C (which are all together). The park is on the approach to Fort Lauderdale airport, so airliners were constantly turning above at just a few thousand feet (although while we were there they were always on approach for landing and thus the engine noise was minimal). 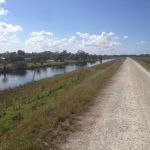 There is a north-south canal that separates the park from the Everglades right by the camping circles, and on the weekend jet skis were racing up and down for hours. Finally, there is a target range at the back of the park, and constant distant gunfire can be heard at times. Yet overall we found our stay here pleasant and relaxing. Bike riding and long walks in the main areas of the park were enjoyable and a big plus. The staff was friendly and helpful. We'd be happy to come here again. We camped at Markham Park in a Fifth Wheel. The Publix 1.5 miles south of the park entrance on Weston Rd. appeared to be the closest major grocery store. Walmart, Whole Foods, and other major retailers were all to be found mostly to the east about 15-20 minutes away. We have mixed opinions about this county park. Overall, the entire very large park is pretty nice with lots of green space, a large dog park ($25/year), some walking paths, model airplane and boat areas, a gun range, and an outdoor exercise area. Plenty to do! The down side is the campground itself is rundown with a mixed weed/sand surface. Our site on arrival was littered with broken plastic utensils, cigarette butts, and garbage in the fire pit. Very little maintenance seems to be done, and the trash dumpsters seemed to be missing about 1/2 the time. The sites are mostly pretty close together, but depending on the site, you may be lucky enough to have a decent to large rear area. We got lucky in site B6. Although it had the typical small side yard, the rear was huge with nice shade overlooking the canal. The entire park gets very busy on the weekends, and you literally risk your life if you attempt to walk along the road on the weekend. The 15mph "strictly enforced" speed limit, isn't. Between speeding cars and bicycles, you're best to stay away from the road on the weekend. There is constant noise from the highway and gun range, but we got used to it after a couple of weeks. The jet skis on the weekends and evenings were very annoying though. Lots of long term residents are spread throughout the park. I won't say we'll never stay here again, but we'll look for alternatives first. We camped at Markham Park in a Motorhome. If you have dogs and like the beach, Haulover beach is beautiful and 30-45 minutes away. Dog friendly on Wednesdays and weekends during the winter, but check their website. We went there at least once a week and we all loved swimming in the warm water. Very nice county park. Numerous activities within the park. Boating, model airplanes, two dog parks. We camped at Markham Park in a Fifth Wheel. Maintenance of the camp sites is seriously lacking. During rainy times, like 90% of the time considering Florida's new rainy weather pattern, sites flood immediately and it gets very muddy, the kind of black muck that sticks to your shoes, pet's feet, and wrecks your coach floors. Drainage and fill is needed everywhere. Trees at the RV sites are not trimmed so your roof equipment gets damaged when you back into your site. Its as if Broward County Parks & Rec built this park many years ago but never seriously considered a maintenance budget for the RV sites. That's a real shame because once you're here in the muddy slop you're not likely to find another park to where you can escape because without having reservations, you can't just find another park and leave. So in the muddy soup you sit. Not fun. The staff is polite, courteous, and appear busy doing their jobs, but their scope of work appears not to include maintenance tasks to address very rainy conditions. If you book a stay here, be prepared for muddy sloppy conditions. We camped at Markham Park in a Motorhome. Sawgrass Mall is just 15 minutes away. Shopping, dining, & movies. If you want to stay in an urban area, Markham is a decent choice. Sites vary a lot; fortunately ours had good screening for some privacy between sites. Noisy all the time because it's near I-75 & I-595, adjacent to a canal favored by jet ski users, and has a popular target shooting area. Our site D5 had solid Wi-Fi. We camped at Markham Park in a Motorhome. Very close to shopping and 17 miles to the beaches. Hollywood Beach in particular is retro fun. Restrooms needed a good cleaning. Walls and ceilings were full of bugs. Drain in shower was clogged with hair. Dogs were taken into bathroom. Noisy from road traffic and shooting range. Too many large barking dogs even some that were left to roam. Site was located a grass that needed to be cut. Trash around site and fire ring was full of cigarette butts. Site flooded during rain. We camped at Markham Park in a Travel Trailer. I live about 20 minutes from the park and use it ask a frequent "escape." Sites closer to the entrance (loops A-D) are rather noisy with the other park facilities nearby and highway 595. Sites further in are much nicer. Wifi works very well on most sites (and is free). Office staff are very accommodating to early and late arrivals. I will be back - very affordable park for the south Florida area. We camped at Markham Park in a Travel Trailer. We stayed here for four days while testing out the RV before going on a 6 month adventure. Since this park is full during the winter season, we stayed at one site (A-5) for 3 nights and at another site (E-9) for the fourth night. The first site was only an estimated 1400' from a busy elevated interstate and was very noisy. The further back in the park you go, the quieter it becomes. E loop was quite nice. This is a municipal park and offers a great dog park, boating access, a target range and lots of space for picnicking. The loops were each in a tight circle with some pads but mostly dirt and grass. The sewer hookups are located close to the road unfortunately, so you have to keep your rig close, too. There are a few trees and bushes for privacy. We would come here again but would definitely want to stay in the back part of the park. We camped at Markham Park in a Motorhome. There are lots of stores nearby and great bike paths, too. Great park. Lots of activities. Kids had a blast. Was on site c10. Camped with many families. Very quiet at night. Security going around if you need anything. Shooting / archery range at the end of the park. Bike trails, fire pits at each site, good electric, and good water pressure. My only issue was on 50 amp plug was not grounded correctly. Had to use 30 amp adapter plug. Will stay here again. We camped at Markham Park in a Travel Trailer. This park is in a convenient location if visiting the Fort Lauderdale area. The price is high for what you get, if you are not a resident. Most of the people staying here are local residents. They do not enforce any regulations, people have cars, trailers and boats parked all over the place. The sites vary a lot from one site to another. Some are paved, some are not, some are wide, some are narrow, and a few pull thru in F loop. The wifi worked marginal, suppose it depends on your location. This is very active park, there is a lot of activities available here aimed at the local residents, for this is a county park. Great bike riding around the park, due to its size. We camped at Markham Park in a Fifth Wheel. Shopping is very convenient for just about any store you looking for. Are you affiliated with Markham Park ?